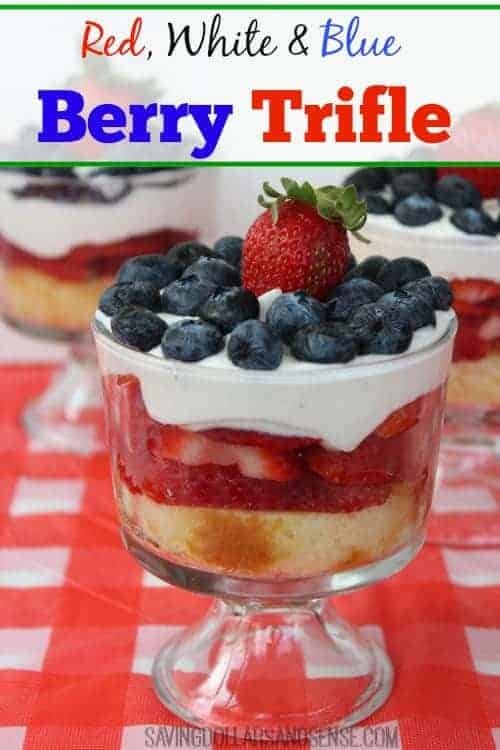 This Strawberry Blueberry Pound Cake Trifle is the perfect addition to a summer barbecue. 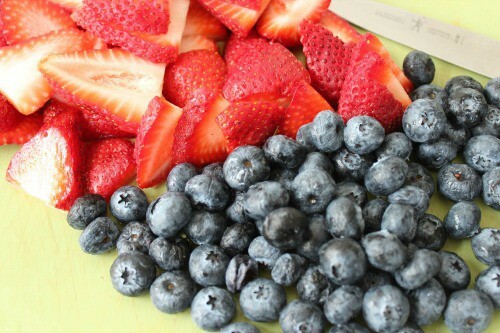 It just screams Fourth of July or Memorial Day to me! 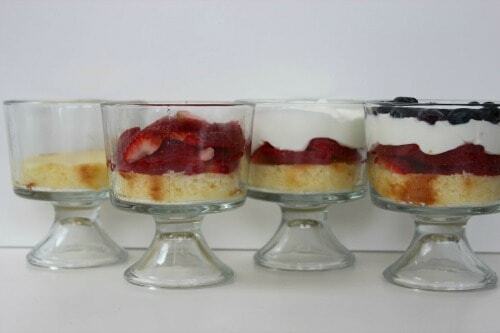 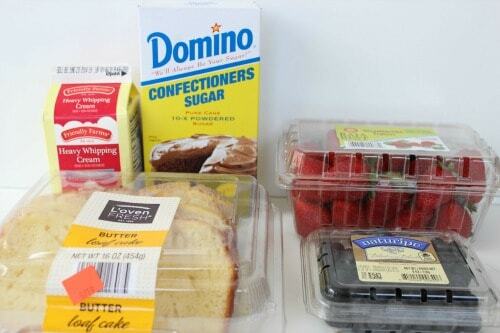 Place a strawberry in each center and serve.